As a Brisbane resident, you will have seen first hand the devastation that unexpected flooding can have on families and their homes. Unfortunately, the unpredictable Queensland climate and its extreme seasonal weather events are a part of our lives—as are accidents from overfilled bathtubs, leaking appliances, and burst pipes. But flooding doesn’t always mean you’ll have to gut your home to its bones: flood restoration services, delivered by an experienced provider, can greatly reduce the financial and emotional impact of water damage to your home. Flooding can be a shock, but keeping your head and acting quickly to get help is absolutely essential if you have a chance to save your items. 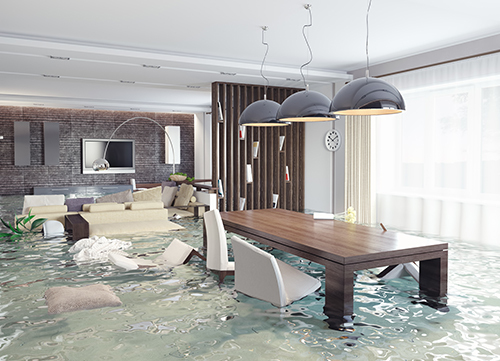 Seek out professional emergency flood restoration services to have an experienced crew remove the flood water as soon as possible: leaving it too long will allow mould and mildew to begin to grow and spread all through fabric, wood flooring to rot, and foul odours and stains from chemicals and sewage in grey water to permanently set in. Because they are trained and experienced in flood restoration, there really is no substitute for a good service provider who will conduct a thorough site assessment. And although Brisbane’s history of floods is unfortunate, it does have an upside—your Brisbane flood restoration professionals have the unique experience and insight to properly inspect and attend to your home. They will assess your flooring, walls, and furniture to gauge the type and extent of the water damage, and where flood restoration is possible, they will determine the equipment and cleaning solutions that are appropriate for your home. Most flood water damage occurs after, not during the event: when the water is left untreated in the carpet, bad smells, spots and staining, and bacteria and fungi will proliferate.Flood restoration professionals in Brisbane have seen for themselves what dirty flood waters can do to your home, but if you get help quickly, they may be able to pump out and remove excess water before thoroughly cleaning your carpets, and potentially save you from having to replace them, and the flooring, walls and tiles. Your flood restoration professionals will move your furniture, either around the room or outside the house, so they can access your floors. 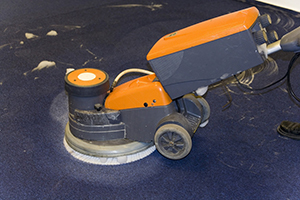 They will extract the flood water from your carpets with water vacuums and other industrial equipmentthat are designed to remove water, dirt and debris from deep within the fibres of the fabric. It’s often necessary to remove carpet underlays to dry and clean them as well, and to ensure the flooring underneath is dry and intact. If your home has been flooded with sewage and grey water (which contains harmful chemicals, bacteria, and fungi) rather than with clean water from its own water supply (the water that comes out of your taps), your carpets may need to be treated with special industrial disinfectants and sanitisers to make them safe to use again. Your flood restoration professionals will assess the damage to your home, and determine which methods and products are a suitable solution to your flood damage. Your professionals have the expertise and industry knowledge to know which items in your home can be successfully restored, and how to get the best results for the look and safety of your home, so it’s always best not to attempt flood restoration without their advice. Because of the humidity of Brisbane’s climate, it is even more important for Brisbane residents to complete this process properly: leaving even a small amount of moisture can cause mould and mildew to breed, even if your items have been treated with anti-microbial solutions. Your flood restoration professionals will advise you on the best ways to ensure your items are dry, which could include opening your windows and doors and turning fans, or leaving your furniture out of the room until you’re certain it’s safe to bring them back in. If you’ve considered solving your flood damage problem yourself, you’re probably aware that you don’t have the expertise or the means to do it properly. Flood restoration, particularly in Brisbane’s unpredictable climate, needs specialist knowledge and experience, and professionals who will act swiftly in emergency situations. At Terry’s Steam Cleaning, our qualified technicians have the technology and the expertise to determine if your flooded items can be successfully restored, and the best ways to do it. Trust us to assess and resolve your home’s water damage, and you can rest assured that you and your family will be safe when your home is dry and comfortable once again.